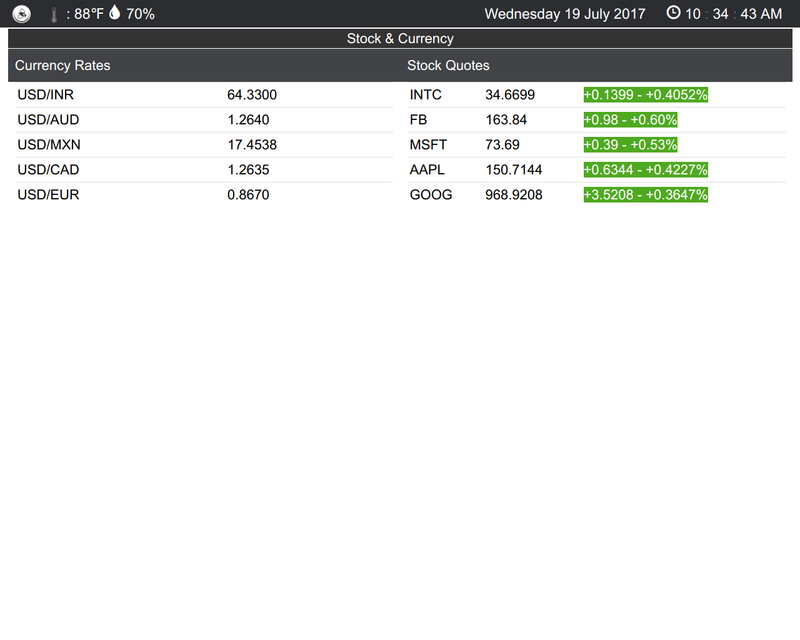 HuddleFly can display stock quotes and currency exchange rates. 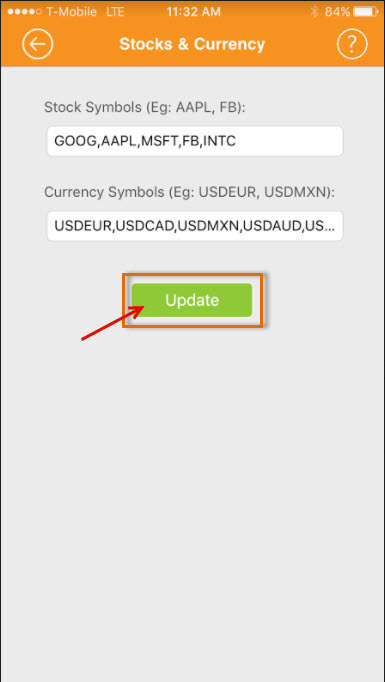 Simply input the stock symbols separated by comma as shown and click “Update”. 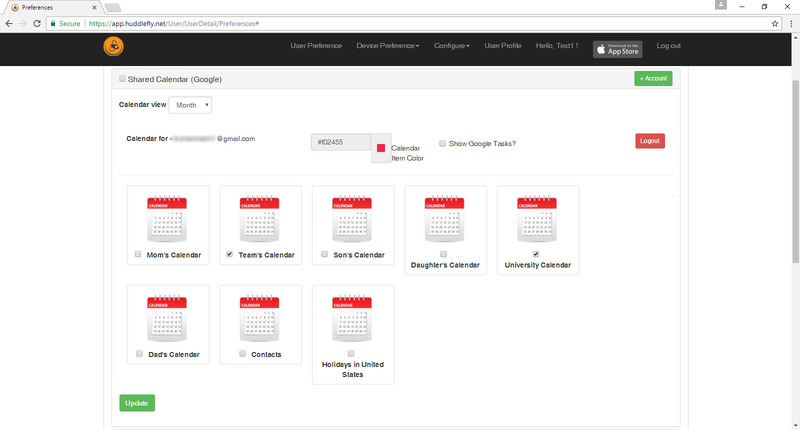 HuddleFly has the ability to display multiple shared calendars from multiple Google’s gmail accounts. 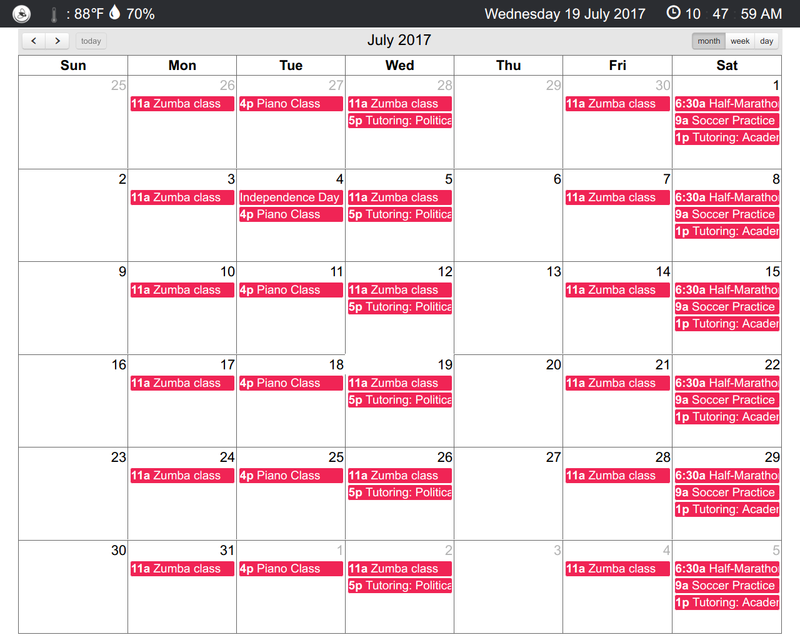 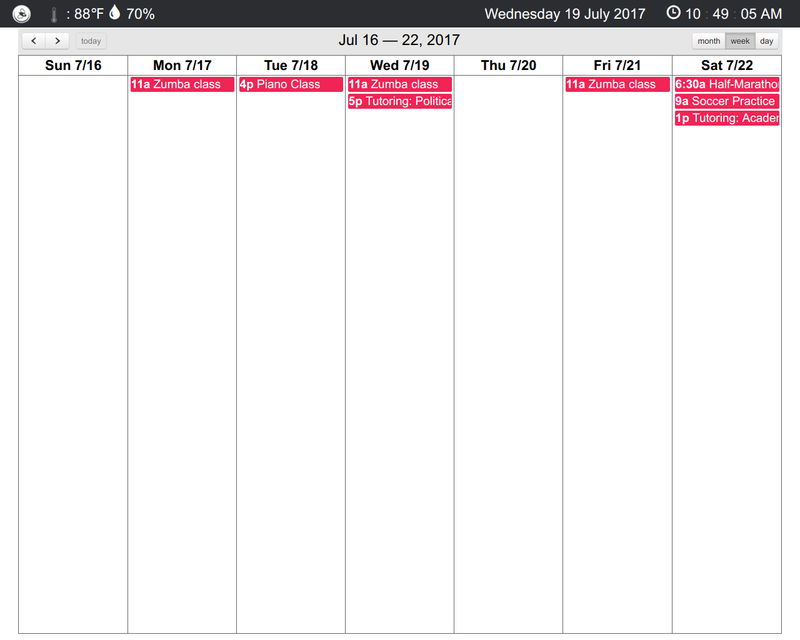 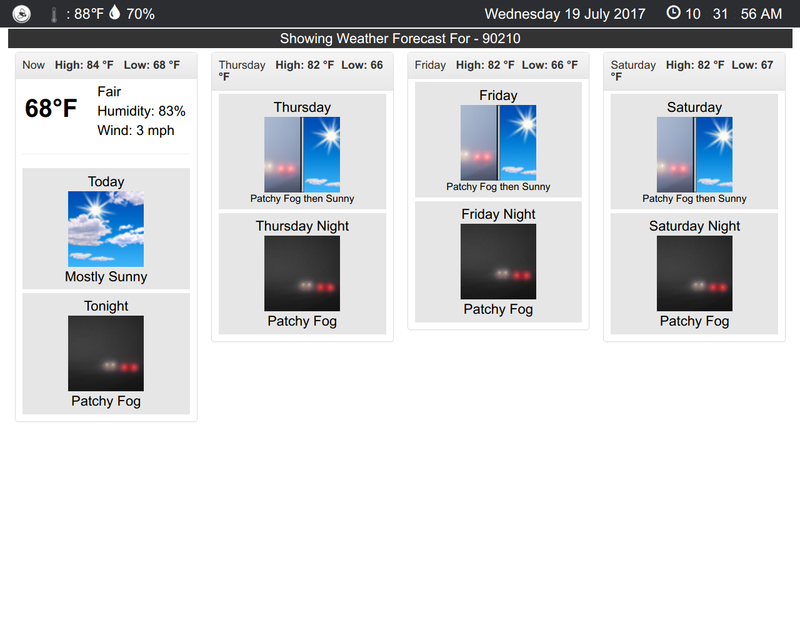 You can control the calendar view on HuddleFly by changing the view type. 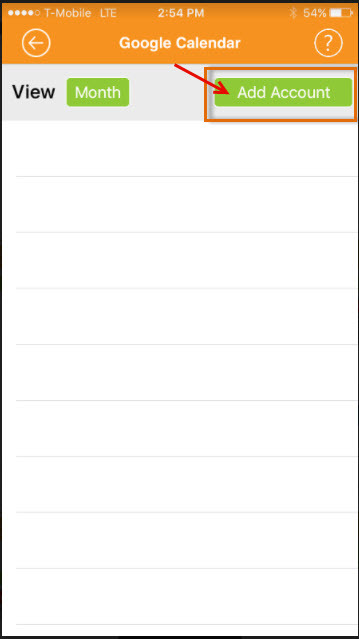 Views can be by Month, Week or Day. 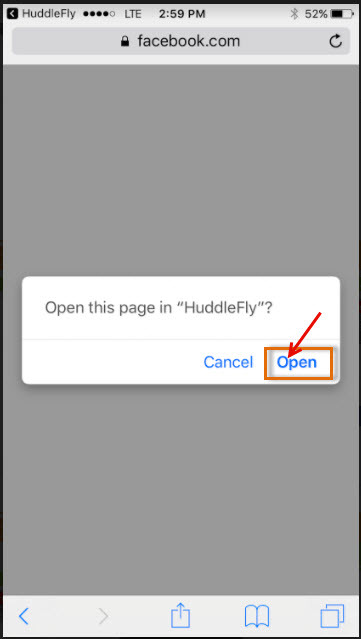 HuddleFly will change and display the selected view accordingly on your display. 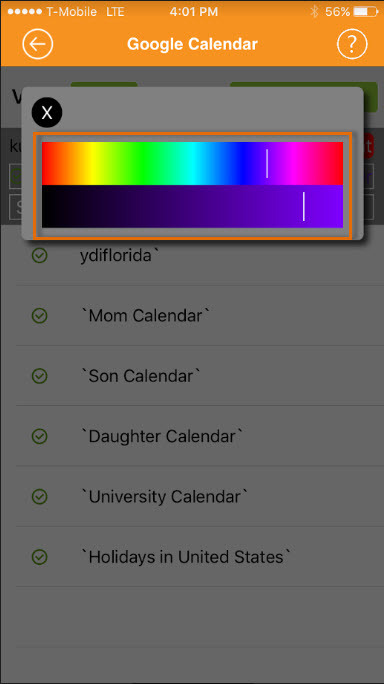 You can further, pick the color code for each of your calendars using the “Color Picker” button. 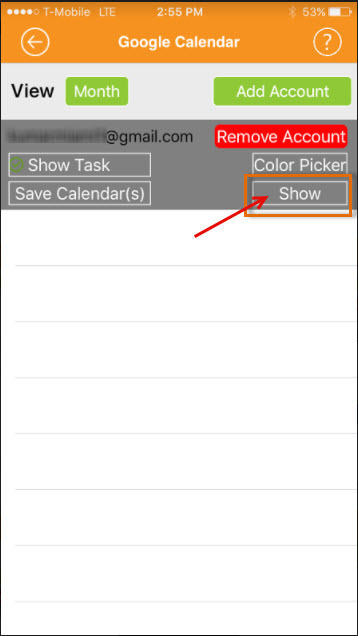 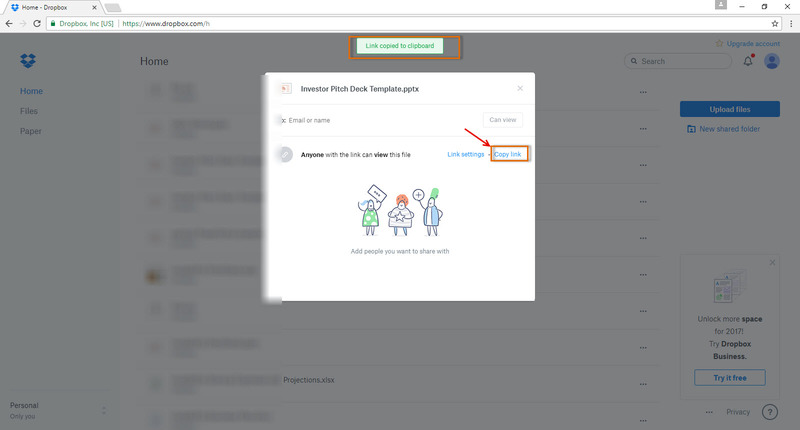 If you manage and would like to view Google Task list of both completed and pending tasks, you will have to click on the “Show Task” button as shown below. 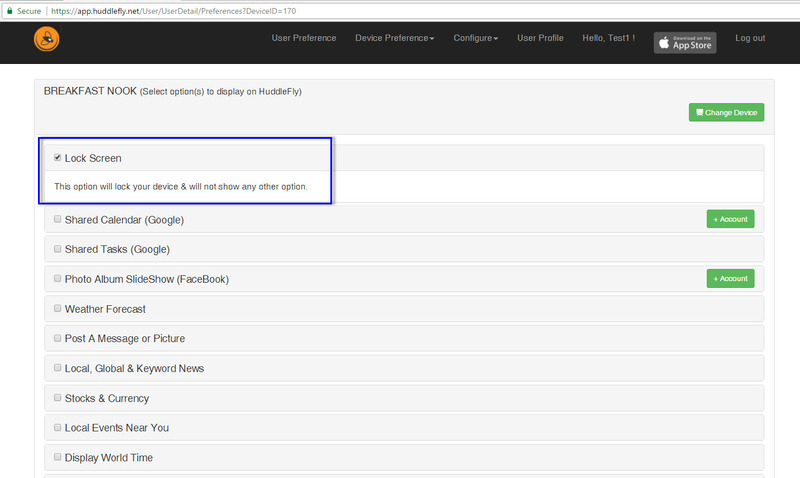 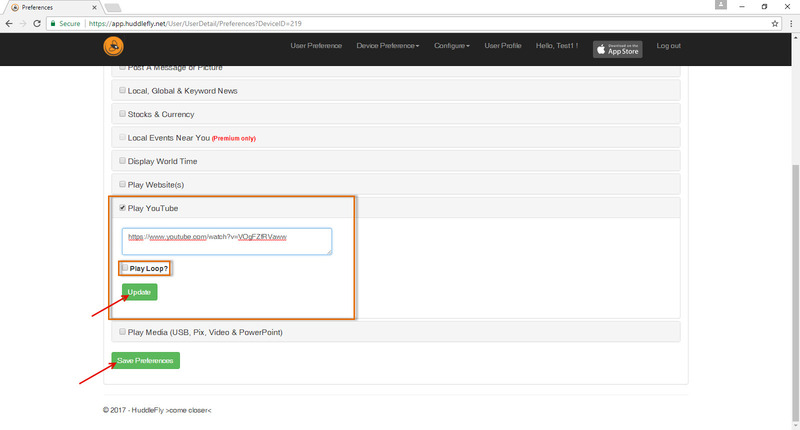 You will finally have to click the “Submit Preferences” button for the changes to appear on HuddleFly. 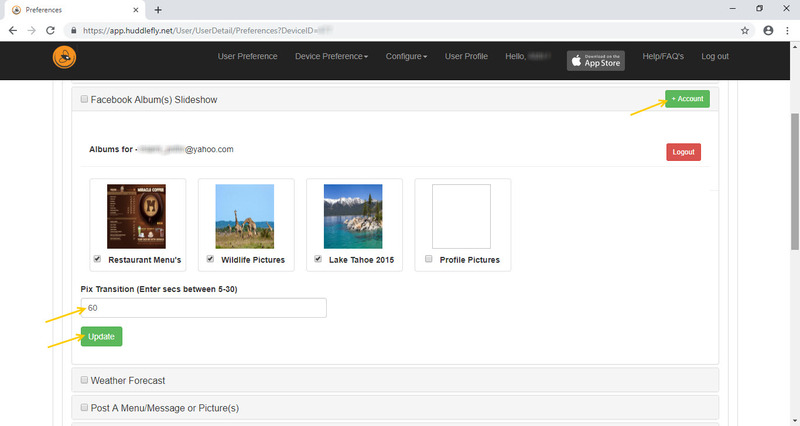 You can Post A Message of (500 characters limit) or a Picture and select multiple options of its corresponding display. 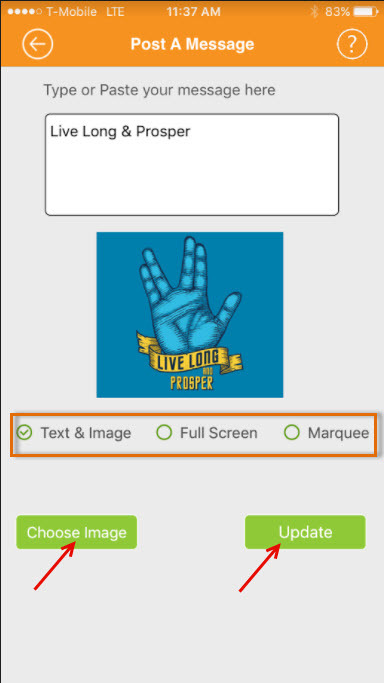 HuddleFly can display both your message and the picture or just the picture in full screen mode or you can have the Marquee option that will show marquee across all screens displayed on the top portion of the screen. 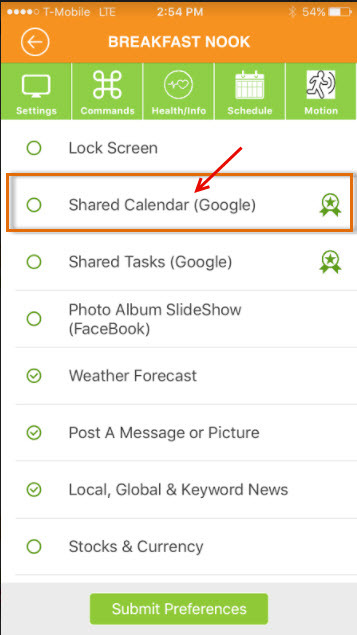 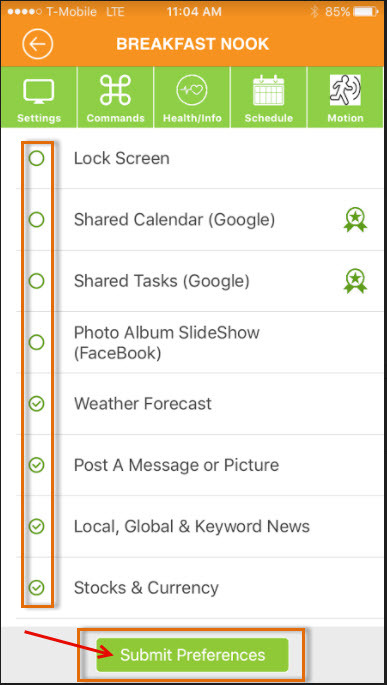 Note: If you need multiple pictures to be displayed on HuddleFly, the best mechanism would be to use the “Facebook Album(s) Slideshow” option. 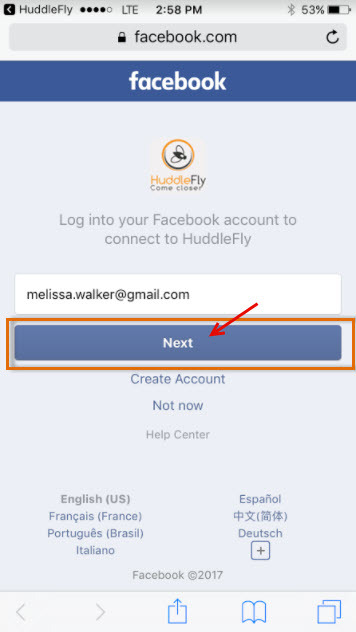 This way you can create a Facebook album and have that album selected to be shown on HuddleFly. 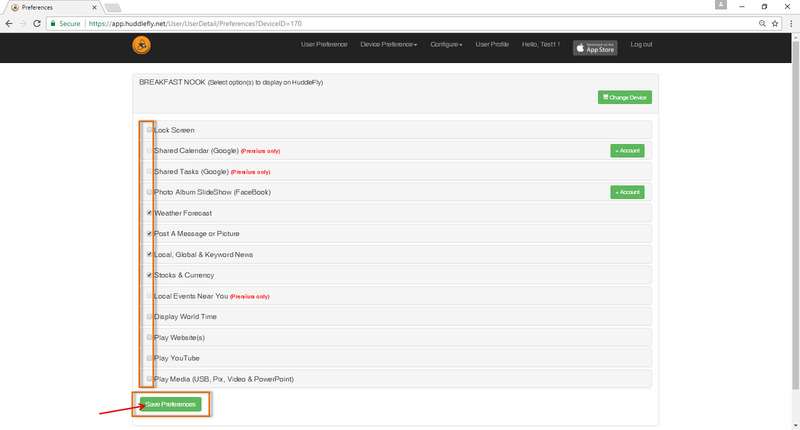 HuddleFly can play YouTube videos that you specify in the app. 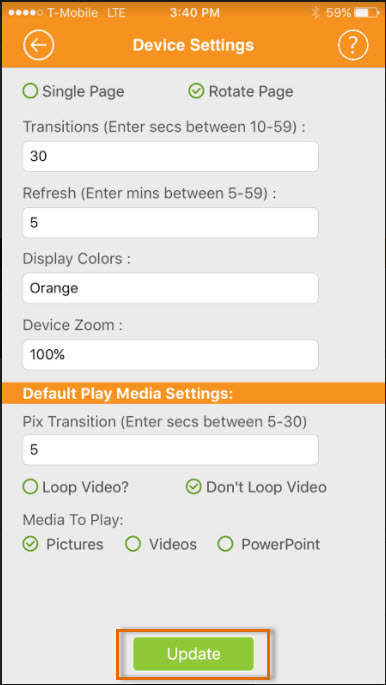 It can play the YouTube videos either once or a particular video in a continuous loop. 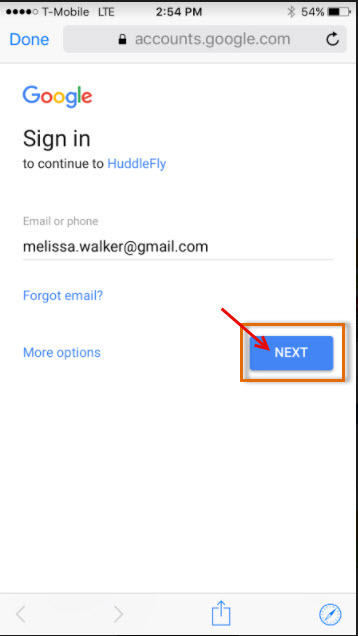 Depending upon if the YouTube video is a playlist or a single video, HuddleFly takes time to stream it. 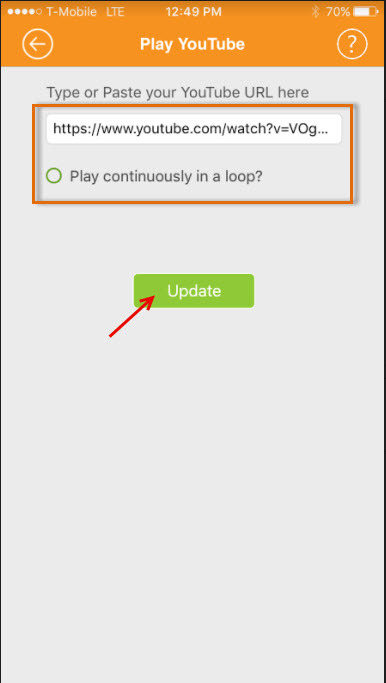 Playlists take some time to stream. 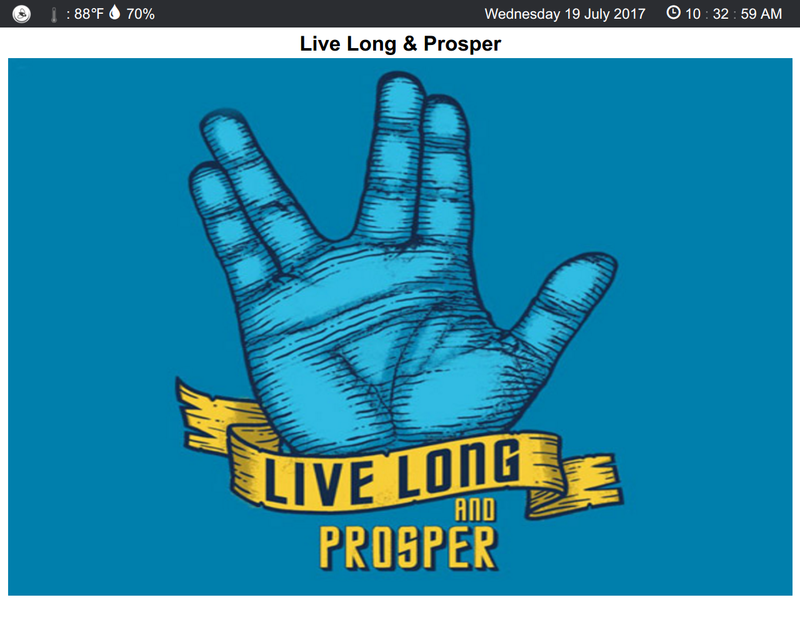 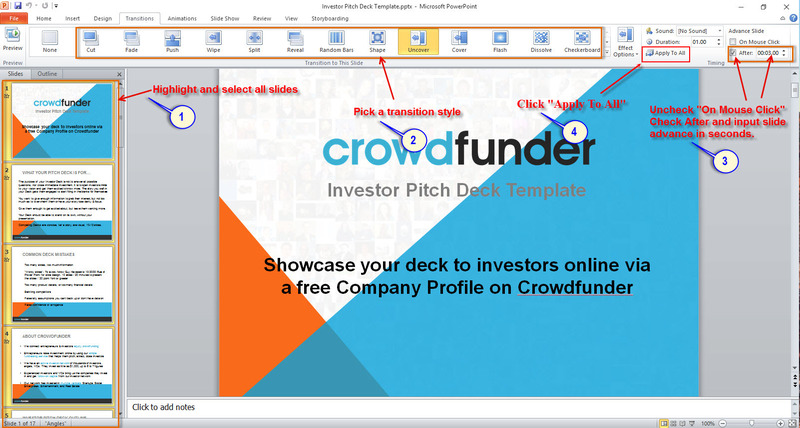 How to display PowerPoint slideshow on HuddleFly? 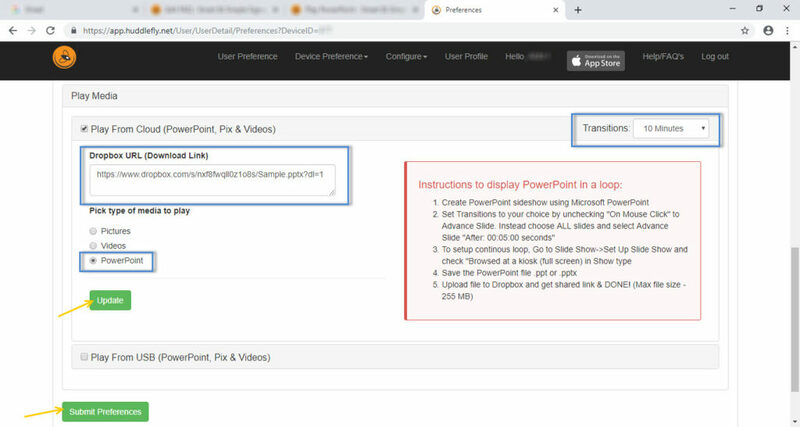 Open your PowerPoint file (.pptx or .ppt or .odp) using Microsoft PowerPoint program, go to Transitions and select all of your slides and pick the transition style. 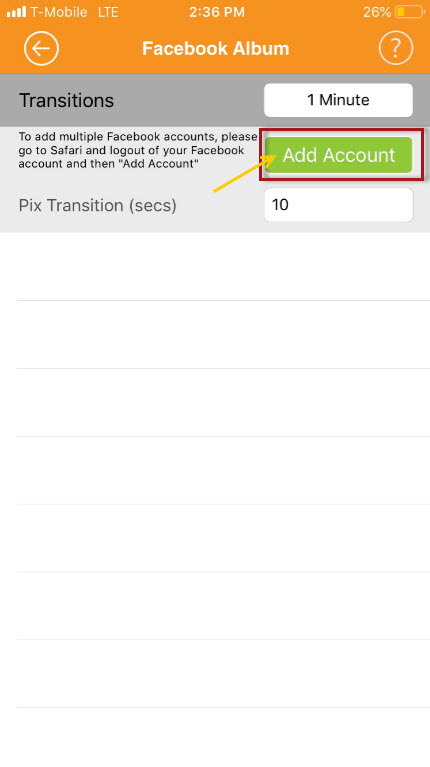 Within the Advance Slide option, uncheck “On Mouse Click” and select “After” option and pick a slide transition delay. 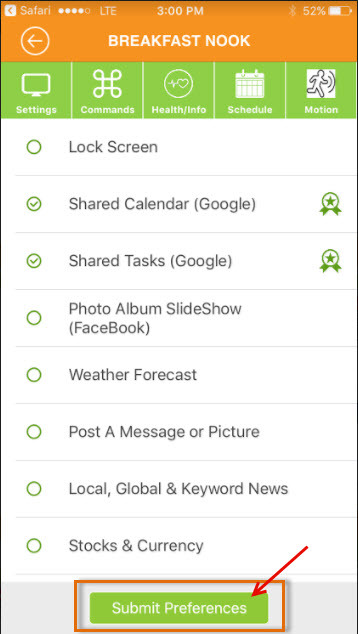 Next, go to Slide Show and select “Setup Slide Show”. 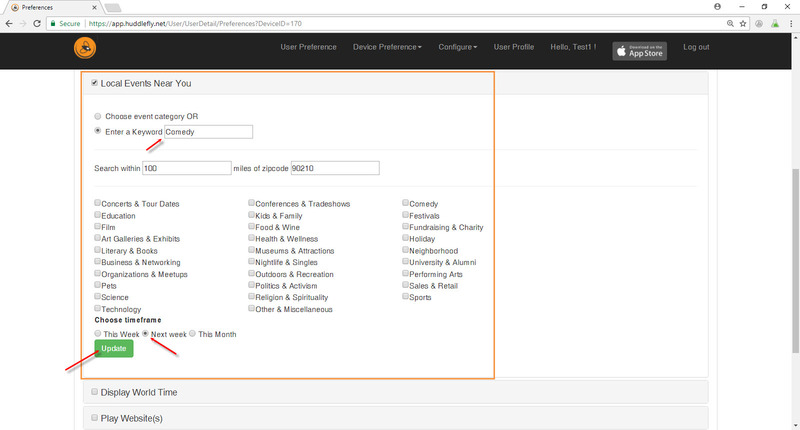 Pick the option “Browsed at a kiosk (full screen)” and select Ok. Save your file. 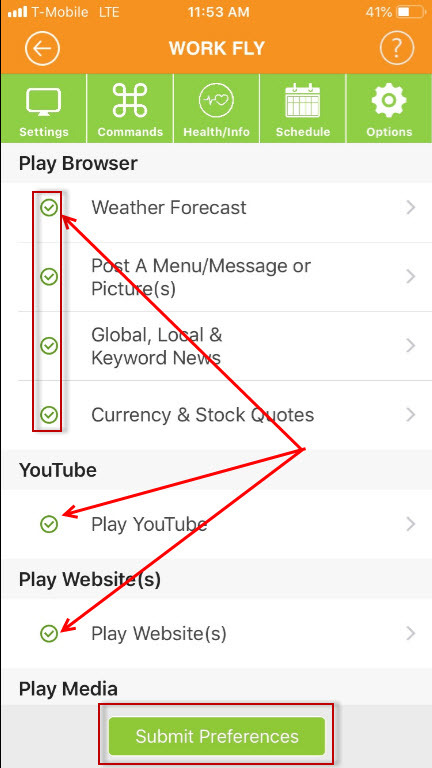 Pick “Play From Cloud” option, set your transition time. 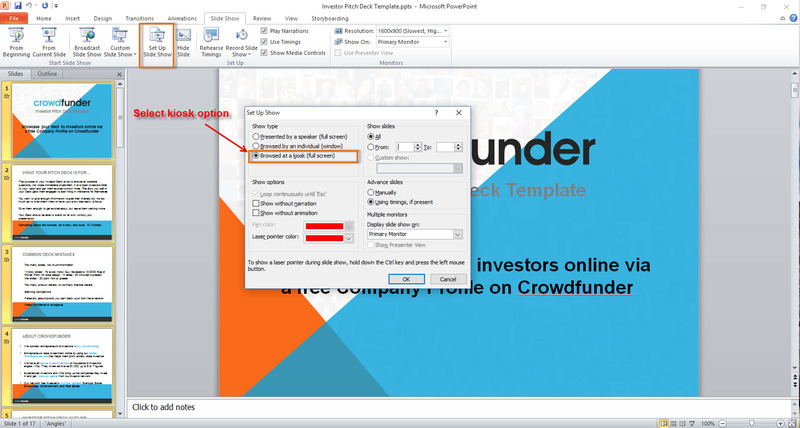 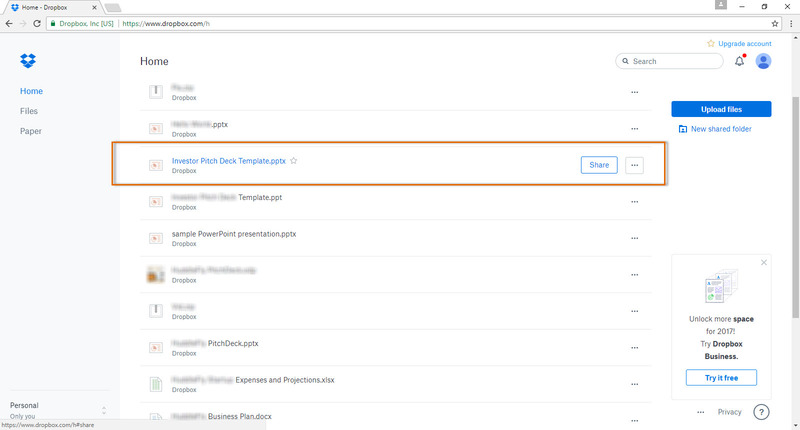 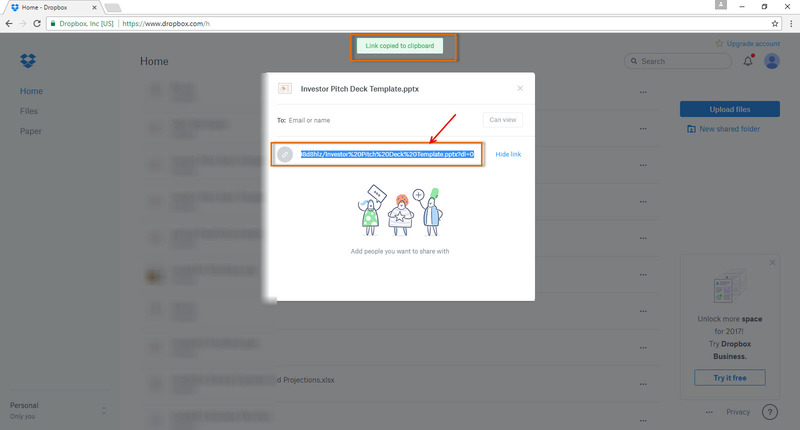 Select “PowerPoint” option for Media to Play and paste the Dropbox shared URL. 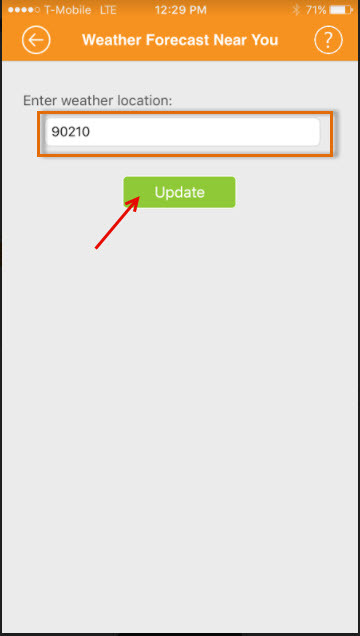 Click Update and Save Preferences. 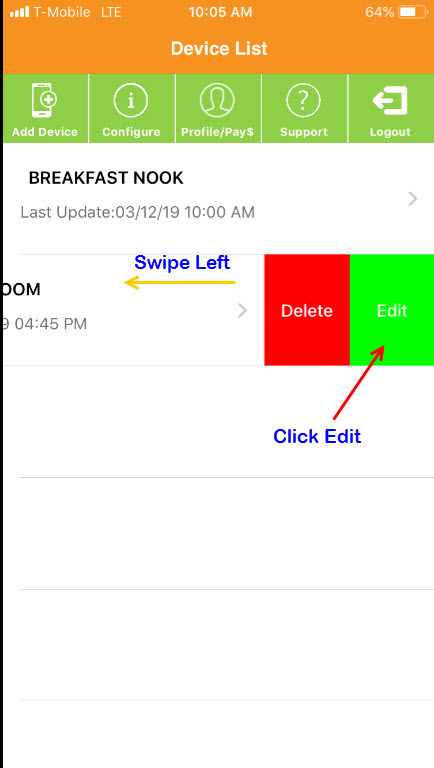 When a “Lock Screen” option is chosen, HuddleFly device simply simply shows Date and Time of the HuddleFly’s device location that is configured during registering a new device. 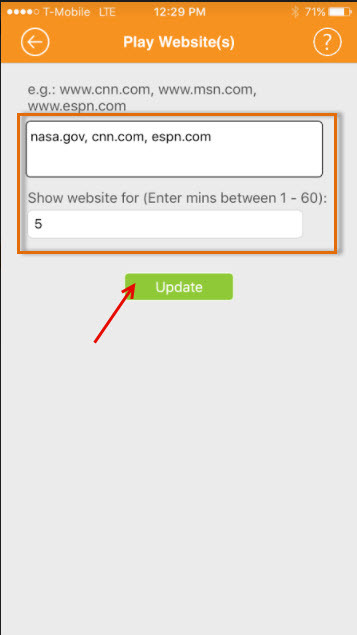 No other information is displayed. 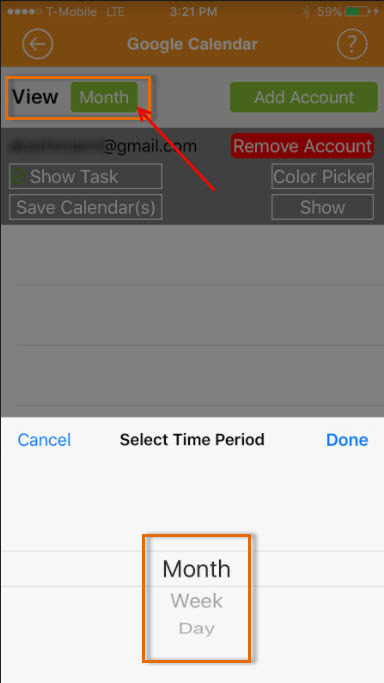 How to set Transition Times Between screens? 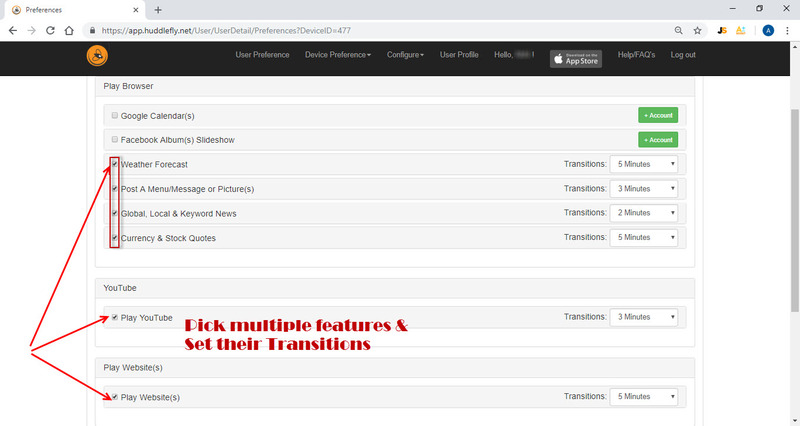 Transition times can be set between HuddleFly feature options as follows. 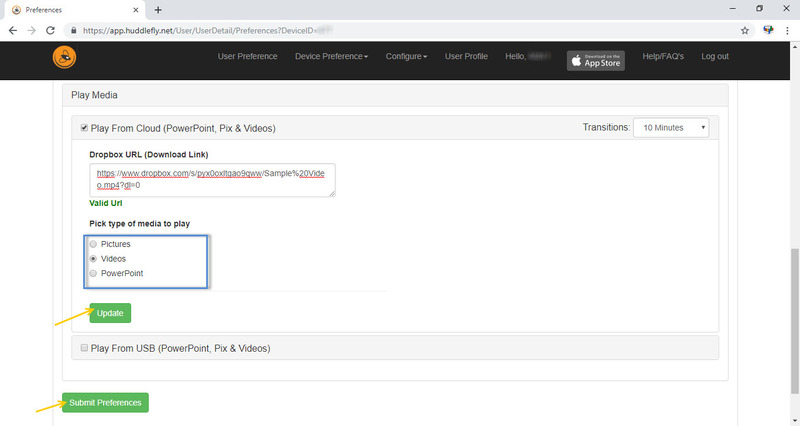 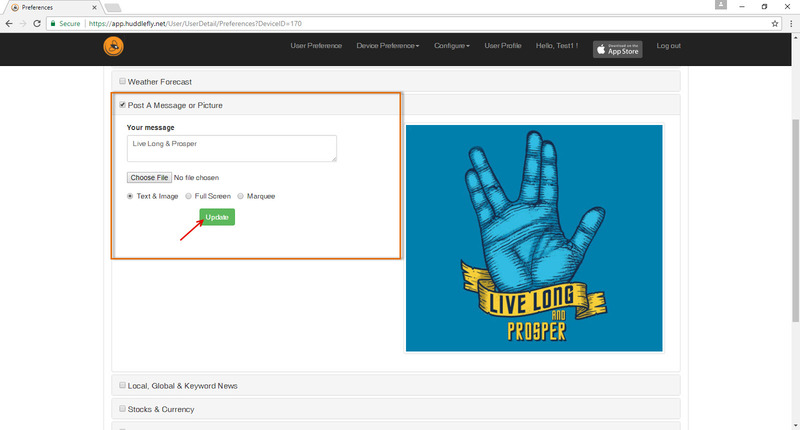 Simply click into a feature you like to display on HuddleFly and pick the transition timing from a few seconds to hours. 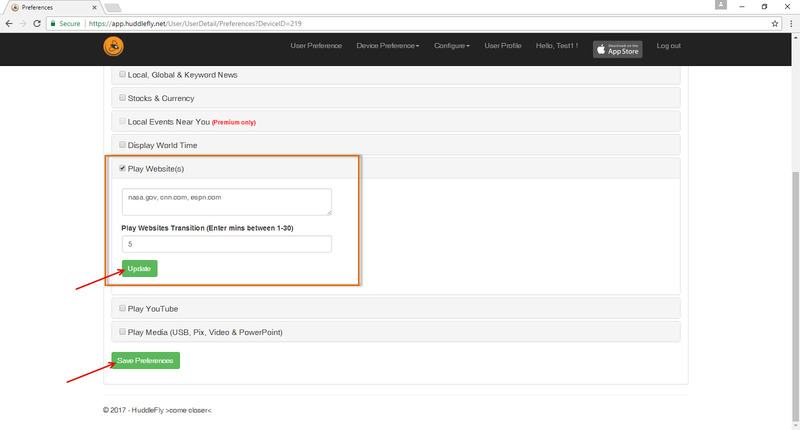 You can set transition times between browser pages and videos (sequence play). 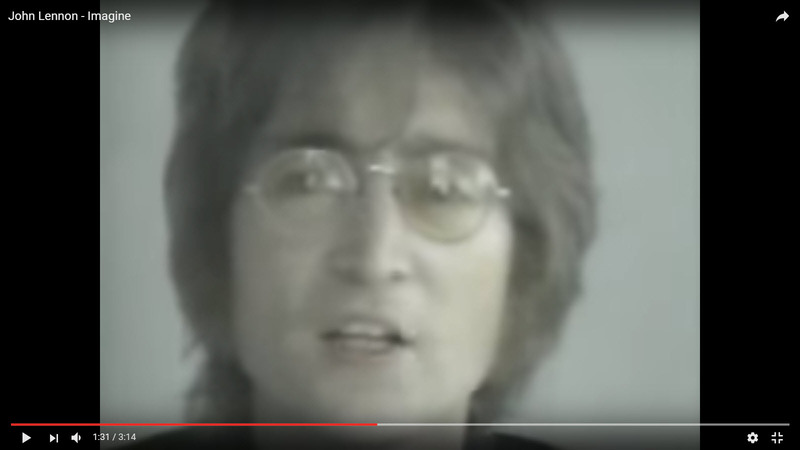 How to Play a Sequence? 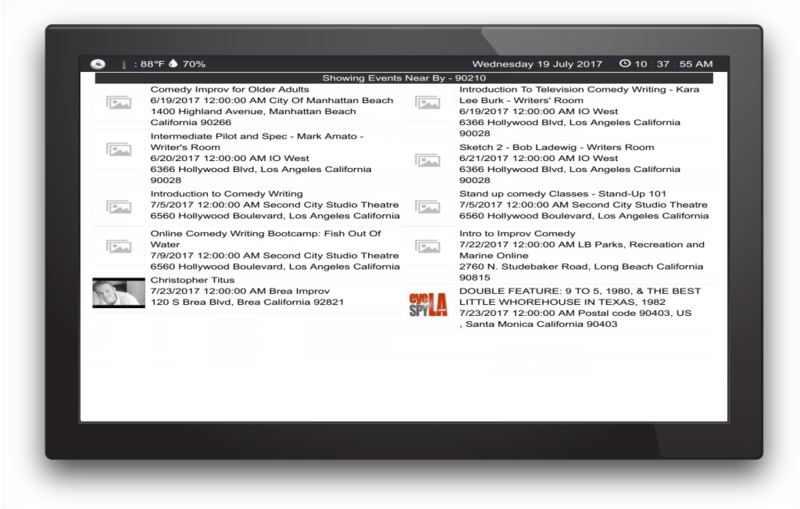 HuddleFly can display Global, Local News for a particular zip code and key word news for 2 topics that you set within configuration. 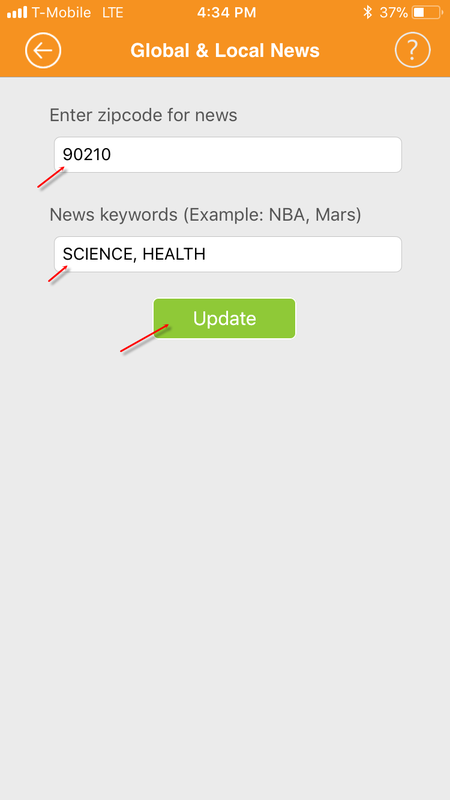 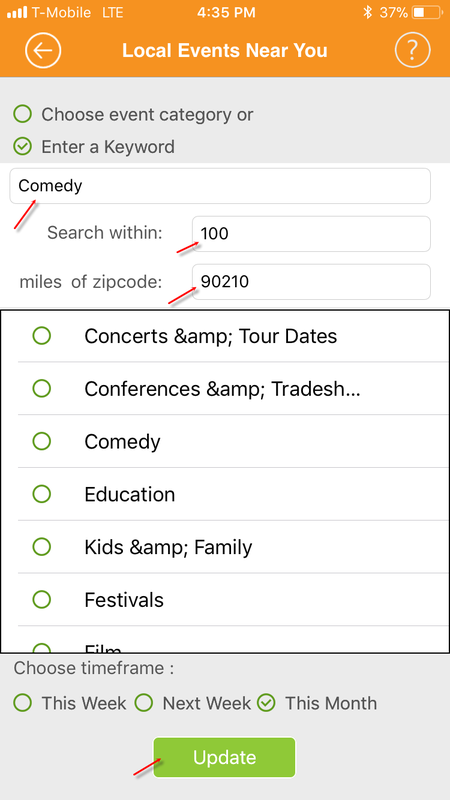 Simply input the zip code for local news and input 2 news topics separated by comma as shown and click “Update”. 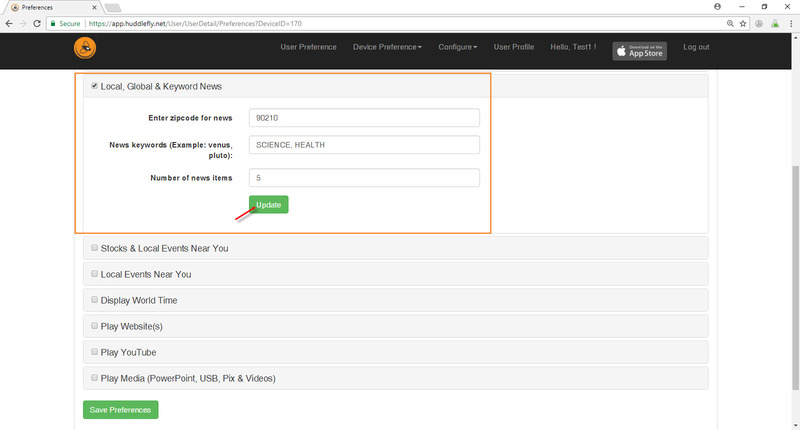 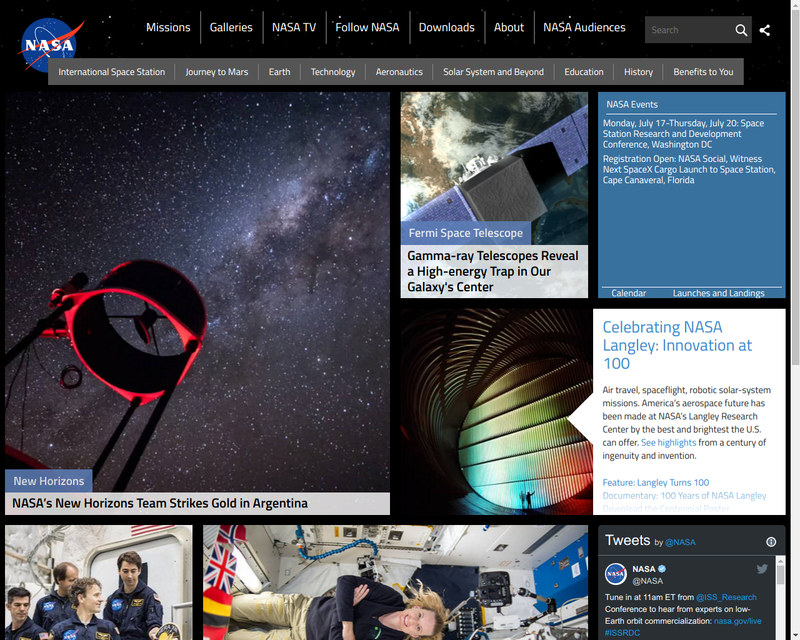 Further you can also control the number of news items that you can display on the screen. 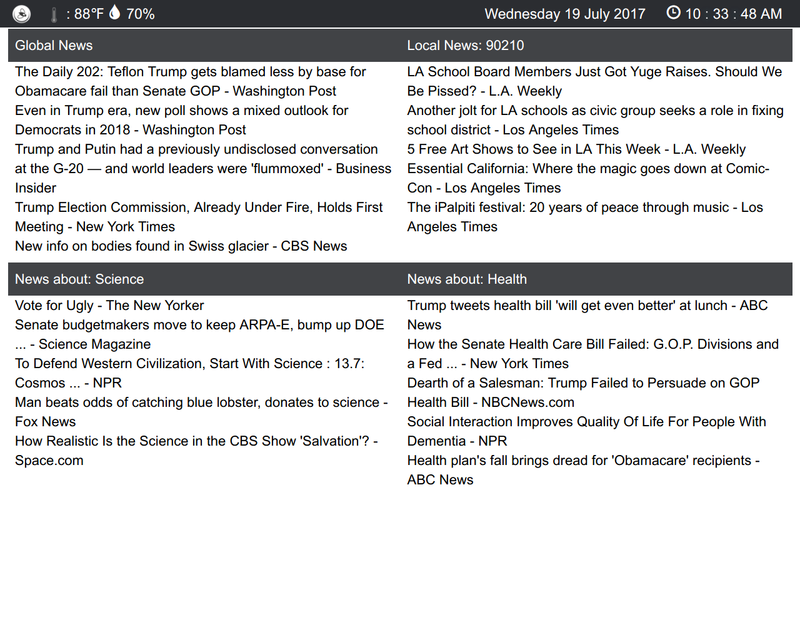 The default is set to 5 news items. 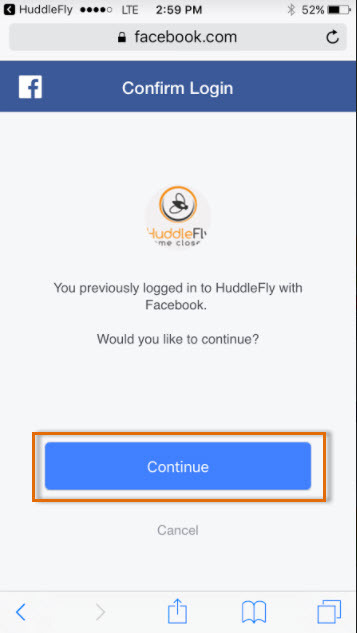 HuddleFly has the ability to display multiple Facebook photo albums from multiple Facebook accounts. 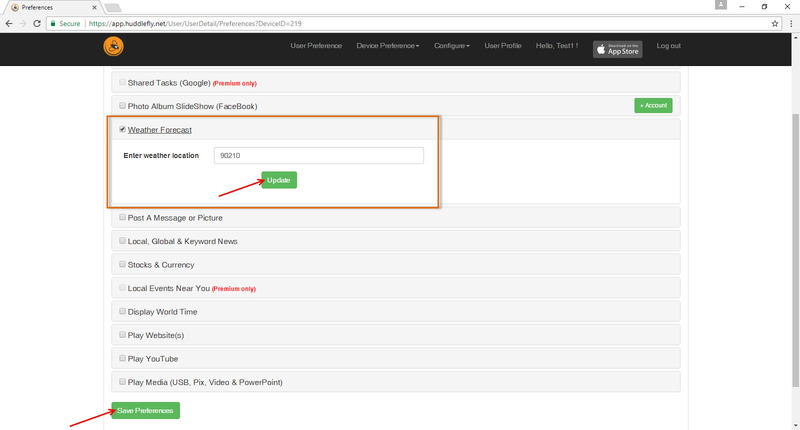 Just click the “Add Account” button and login to your Facebook account and follow the prompt as shown below. 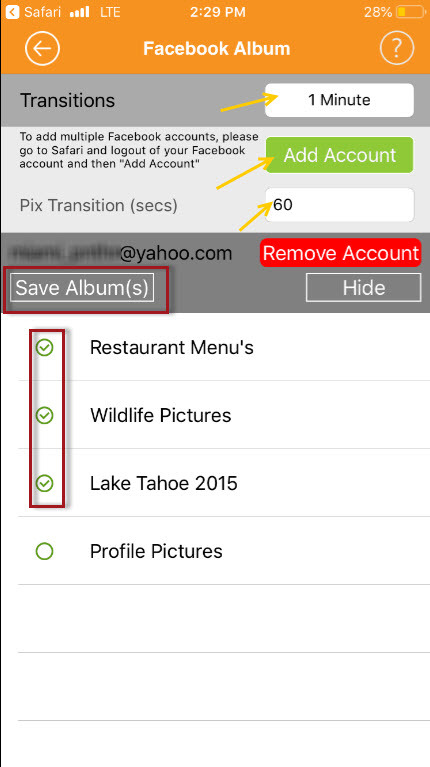 Pick the photo albums you like to display and click the “Save Album(s)” button. 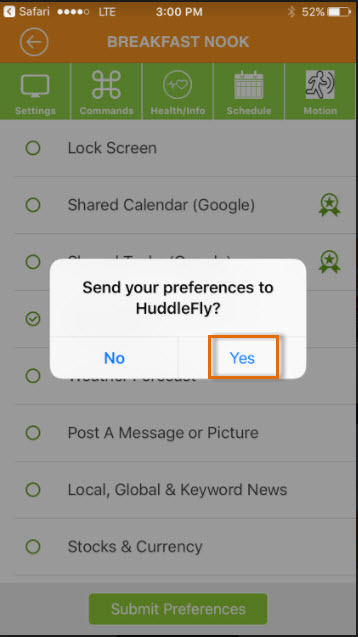 You will finally have to click the “Submit Preferences” button for the changes to appear on HuddleFly. 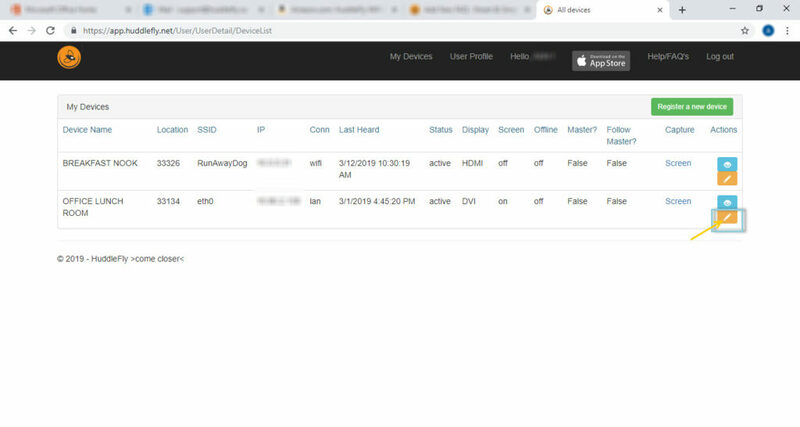 HuddleFly can display world times from different regions. 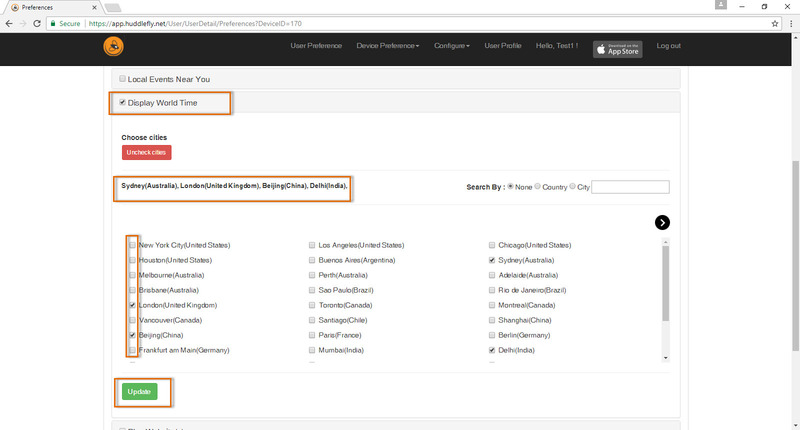 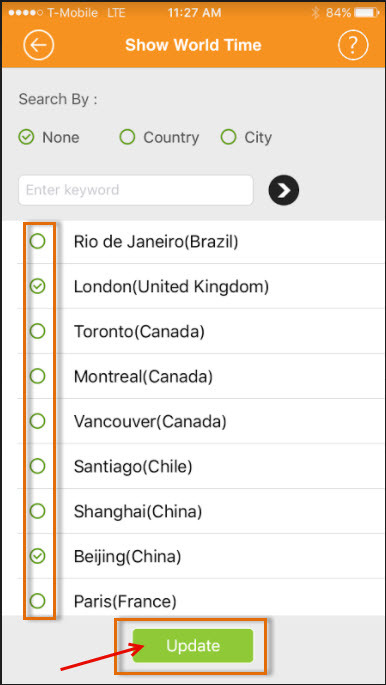 You can select up-to 4 countries (regions) to display at a time. 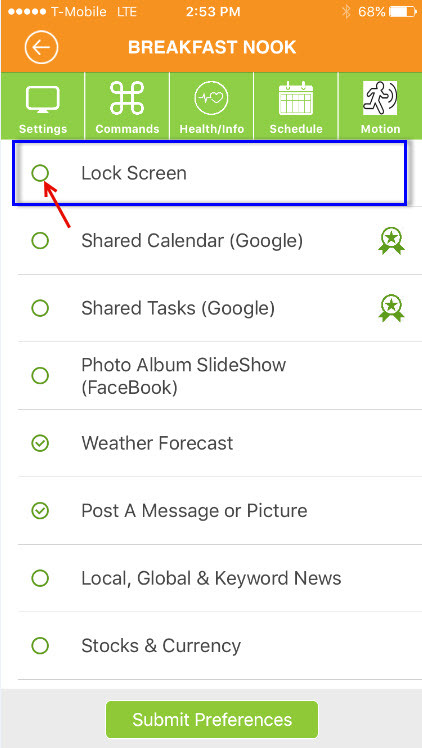 Can you preserve Device preferences after Hard-Reset? 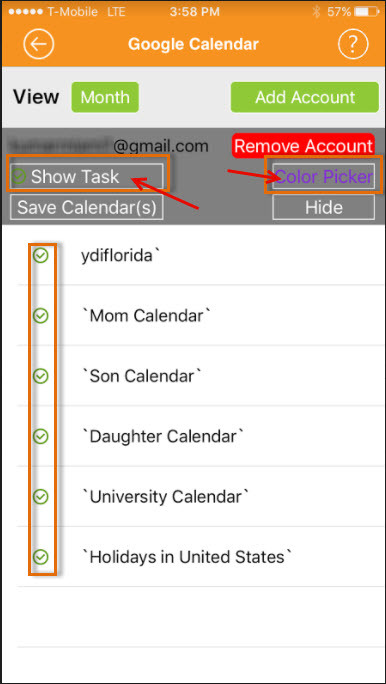 If you had to hard-reset HuddleFly, and still want to save your previous preferences that you had configured such as calendars, pictures etc. 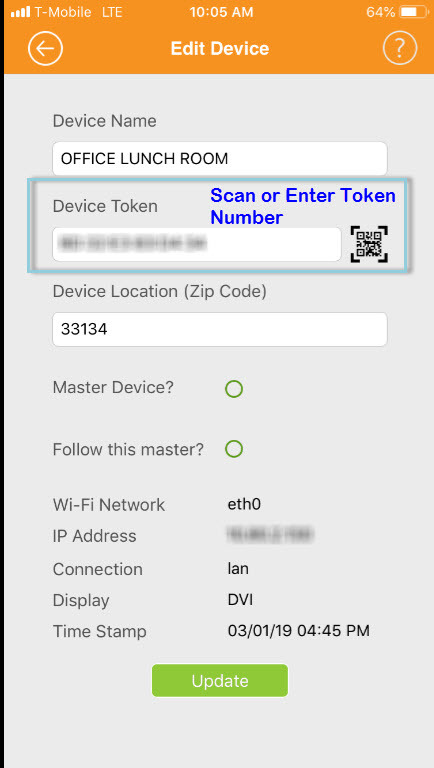 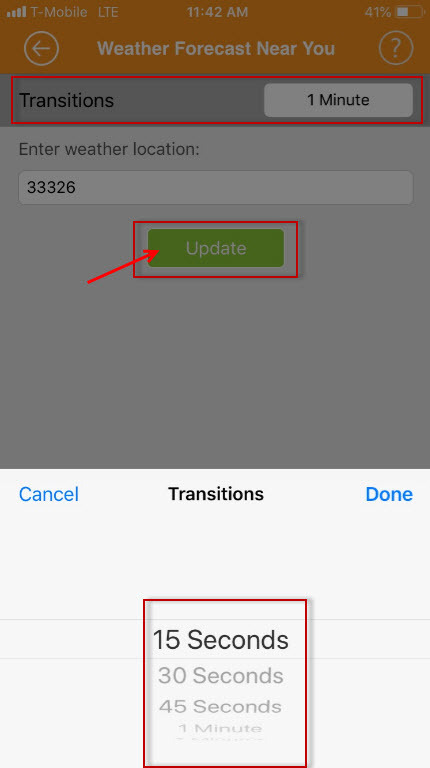 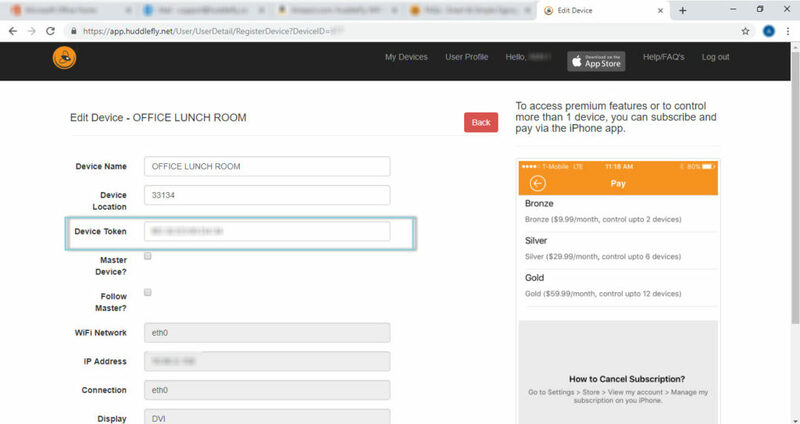 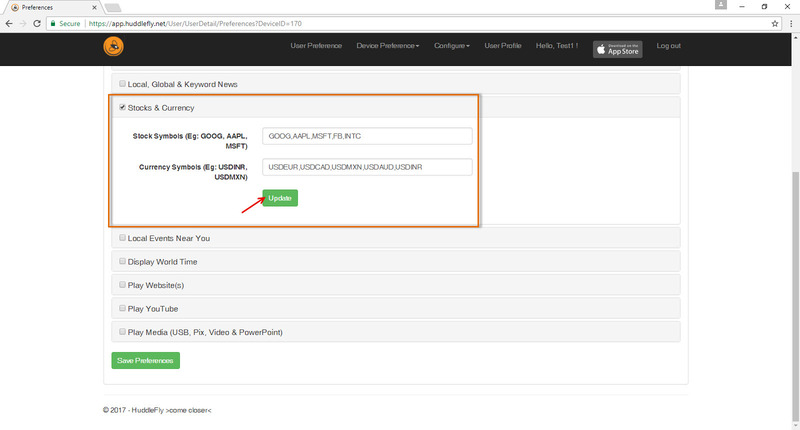 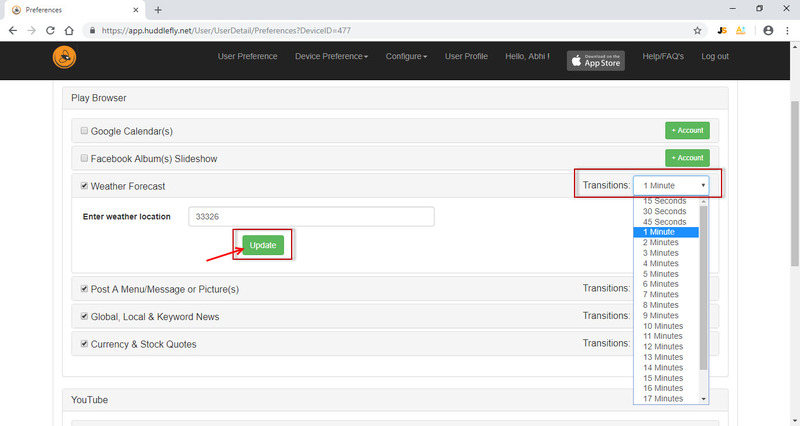 you can simply click on “Edit” the device and reenter the new token number given to you.